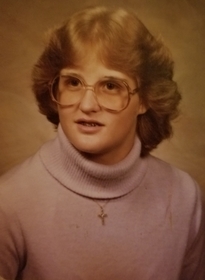 Carolyn Jean Hashley, 55 of Livonia, Missouri passed away Tuesday morning, January 29, 2019, at her home. She was born July 4, 1963 in Ann Arbor Michigan the daughter of Clarence and Sharon Cochrane Hashley. Carolyn is survived by her chosen parents; Donny and Diane of Onondaga, Michigan, her longtime companion; Kenneth Kirkham, of Livinoa, Missouri, one daughter; Christina Roach, six grandchildren, three siblings; Julie Ann (Rodney) Lunsford of Green City, Missouri, Patty Lynn Hashley of Jackson, Michigan, Greg Scott (Mary) Fourner of Jackson, Michigan, and numerous nieces and nephews. Carolyn was preceded in death by her parents, Sharon and Clarence of Michigan. Carolyn studied at Jackson College in Jackson, Michigan. She worked several years as a housekeeper at a hospital in Lansing, Michigan. Carolyn was a foster parent and enjoyed baking, sewing and the great outdoors. A visitation will be held at 1:00 pm on Friday February 1, 2019 at A Simplified Funeral Solution in Green Castle, Mo .